Showing 1 - 6 of 6 Products for Exhaust Resonator. 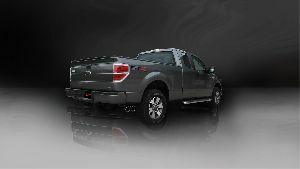 Exhaust Sound and Flow: The resonator delete kit replaces the stock resonator found in 2011 to 2014 F-150 trucks, freeing the exhaust path and increasing sound. 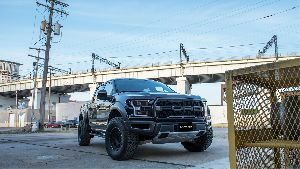 CNC Machined Donut Connection: CORSAs machined stainless steel donut connection was designed exclusively to match the unique needs of the Ford F-150 exhaust system to create a precision fit with no exhaust leaks. Laser Cut 3/8" Stainless Flange: CORSA designed a flange with unmatched fit and durability to withstand the abuse of daily travel. 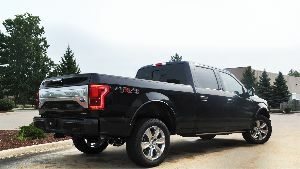 Easy Installation and Fitment: F-150 resonator delete kits bolt directly onto CORSA exhaust systems and stock F-150 systems. The resonator delete kit replaces the stock resonators, increasing sound, with a crossover section to create a unique exhaust note and scavenge airflow. 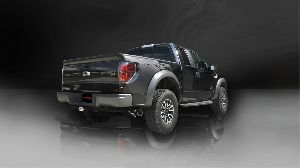 Bolt directly onto CORSA exhaust systems and stock Raptor systems.